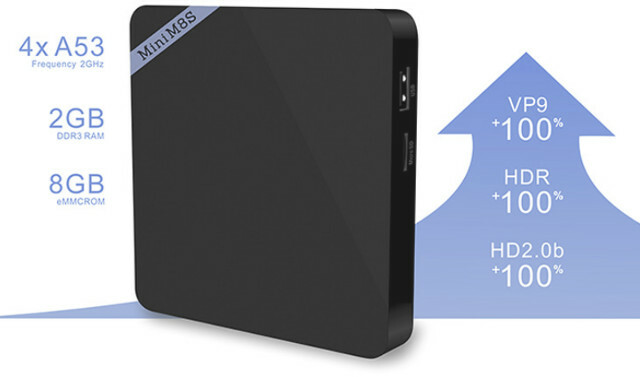 MINI M8S is a relatively popular Android TV box based on Amlogic S905 thanks to its low price ($33) and the inclusion of 2GB RAM. There’s now a new model simply called MINI M8S II with the same specifications, except the processor has been updated to Amlogic S905X, adding VP9 and HDR support, and selling for $36.99 on GearBest with coupon GBM8SII. The box runs Android 6.0 instead of Android 5.0 on MINI M8S, and ships with an IR remote control., an HDMI cable, a power adapter, and a user’s manual in English. The TV box is not currently sold on that many websites yet, and beside GearBest, I could only find it on Aliexpress for $47 and up, but prices will likely converge toward $35 as time passes. Alternatively, GearBest has launched a wholesale website called VolumeBest, where you can get the older MINI M8S for as low as $35 if you order 100 or more (sadly still more expensive than on eBay), and I assume M8S II will be listed soon enough. I have a mbox minim8S and I am quiet happy with the silent and cool running box. Sometimes a little slow getting time and date from network ISP but good little TV box and far better than a Now TV box, it runs the Now TV app. The older S802 and S812 socs still beat it in 3Dmark due I guess, to their 8 core GPU. Joking aside, any idea regarding how reliable are those boxes? Do Mini release firmware or bug fixes for their devices after release? Can you please tell me what DRM is supported on the Mini M8S? I’m tempted by the Mini M8S II but I’d like at least Widevine L3. Looks like intresting enough to replace my raspb pi3. I guess kodi should work great on it? One DRM info app says no DRM support other DRM app says only OMA V1 Forward lock. I have no Netflix account to test. Thanks, even though the answer is disappointing! yup 8G/2G S905X with BT at 35e, i’ll get one. Well i’m assuming the Mini M8S series do have BT, it’s not only on paper, right ? 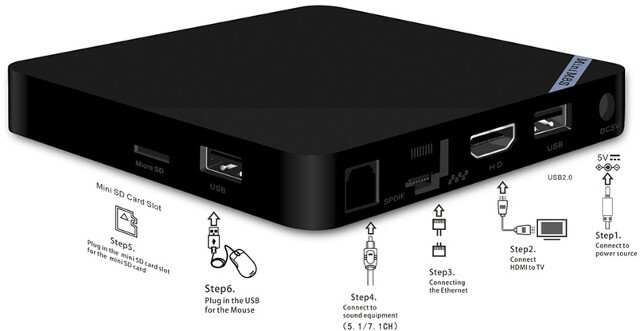 I don’t have any M8S here, is it from beelink, do they get updates ? Well of course you can also get s905 1G/8G for 20$ now so prices are definitely going down. Am i right to assume the only thing the Tanix TX5 has over the TX3 pro is bluetooth ? Anyways never heard about them so i’ll stick with the “brands” i know. One I would advise anyone is get a 2GB version as apps improve with 64bit Soc at 2Ghz you will benefit having more ram. The only way to make sure you get Bluetooth is to wait until other people get a sample. GearBest wants to send me MINI M8S II for review, so I should know soon enough. yeah well i’m not an android user so i don’t really care about the extra 1G of ram. Maybe i’ll play around with android 6, who knows..
thx, the 35e preorder lasts until July 15 on gearbest so i’ll wait a few days to see if you get your sample and will probably order it anyway. The only thing that really interests me is h265 encoding but so far i still can’t find a way to use the h264 encoder of my s805/s905 on linux, so it’ll probably sit on my workbench for quite some time. MX player, MoviePlayer and Kodi Jarvis can all play example however MX Player and MoviePlayer, quality of image is better. Example needs HW or HW + Decoder for smooth play in MX Player, as software decoder to slow. Upstairs SEG are dumping the s905 boxes in Shenzhen this weekend. Got three MXQ Pro 4K for $18 each. Shop girl said the OTT s912 boxes are going to be in very soon: 2gb-Octa-core-32gb, Android 6, Gig LAN, 4 USBs, ac wifi, VP9 etc. still no USB 3.0. “They are supposed to run very cool” she said. These MXQ Pros all work really well for the money though. My guess is the s905x boxes are going to go even cheaper very soon as well. Any linux firmware for this box? Thanks. Just ordered the nexbox a5 with s905x. I notice that all the s905x boxes have no Bluetooth, why is that? Probably just some cost savings. The geekbuying page for the NexBox A5 says it does have Bluetooth. Where have you seen that it doesn’t? Also, the Mini M8S II seems to have Bluetooth. Anyone have any idea how well these s905x boxes will do while bitstreaming HD (including DTS:X and Dolby Atmos) Audio through Kodi? Did anyone try a webcam with this device? I tried using Logitech C310 with Skype. But it did not work. Does anybody know how to root this box yet? Is this box (Mini M8S II) compatable with the Playstation Vue Mobile app?